The ‘Solent professional’s’ dinner was a corporate summer event held at the Hilton Ageas for some of the top business professionals around the Solent. 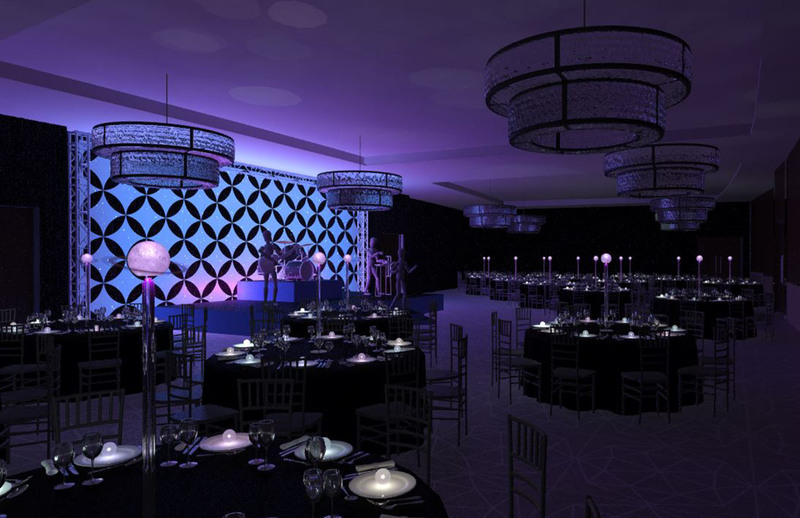 Transform was asked to provide the décor for the Ageas Ballroom in a decadent space theme. This is an ever popular theme in the world of events, so our designers decided to take a slightly different approach this time and proposed a design that was elegant and futuristic, making subtle references to outer-space using colour, shape and lighting opposed to something more literal like rockets and planets. 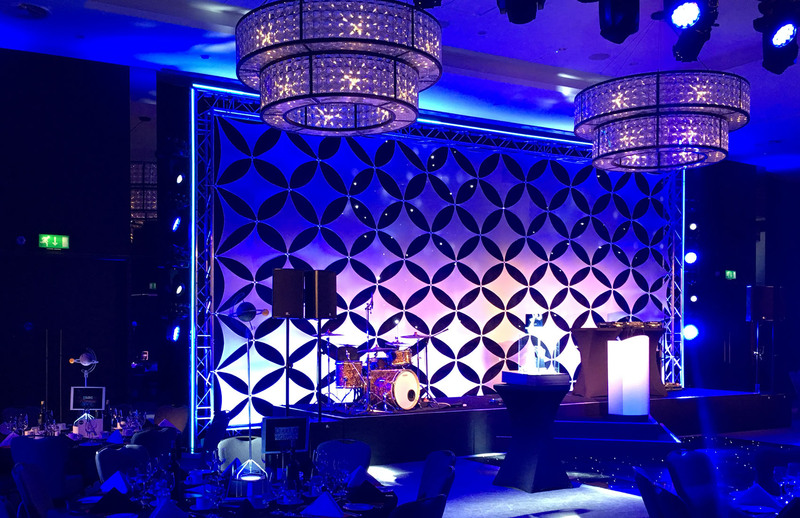 We focused on a striking bespoke stage set that comprised of multiple tiers and a geometric backdrop, lit in blue and magenta with a back line of star-cloth to give that extra nod towards the space theme.